Ernest Montenegro was born in Albuquerque, New Mexico, the son of Chilean abstract expressionist painter, Enrique Montenegro and concert pianist, Sara Rosebaum. 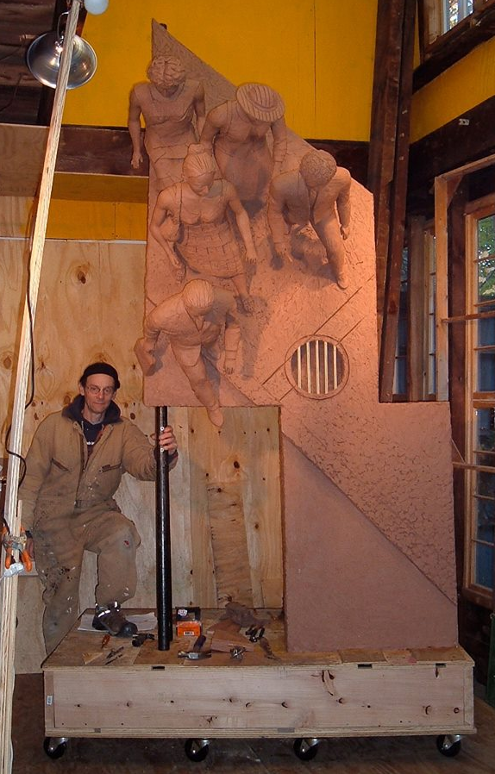 He was educated through an apprenticeship in stone-carving in Queens, New York and through an apprenticeship in bronze casting with Richard Rosenblum in Boston. He has numerous public sculptures and has shown in galleries in New York, Boston and Santa Fe. Montenegro is the recipient of awards such as the Peter Abate Award and the Religious Sculpture Award of Monte Carlo’s Gran Prix d’Art Contemporan. His work is presently represented by R. Michelson Gallery in Northampton, Masssachusetts. He lives in New Hampshire with his wife.